You may not know Scott McCartney, but you’ll soon wish to thank him. The Wall Street Journal reporter uncovered a major coup, quietly brewing in the world of US air travel. US Airlines – yes, virtually all of them are tired of obeying and honoring policies which help keep air travel from being completely miserable. In fact, they’d like the government to dismantle these programs, and they’re no longer being subtle about their wishes. Airlines for America is the lobbying group of Air Canada, Alaska, American, Hawaiian, JetBlue, Southwest and United. Delta is noticeably absent from the group, but is a powerful lobbying force in Washington DC, with likeminded ideas. In case “lobbying” is new to you, it’s basically where companies spend lots and lots of money on lawyers and persuasive people to try and will the government into changing something – for their benefit. Consumer groups allege that the Department of Transportation under the current administration has ceased to represent consumers. Enforcement of basic consumer protections has largely gone null and void, with many data points supporting this notion. The DOT recently asked for a list of suggestions to help the US airline industry, and the airline industry responded with more than a few treacherous ideas. United, for one – wasn’t convinced their lobbying group had done enough in their attempt to deregulate the industry, so they added 50 pages of demands to the mix. 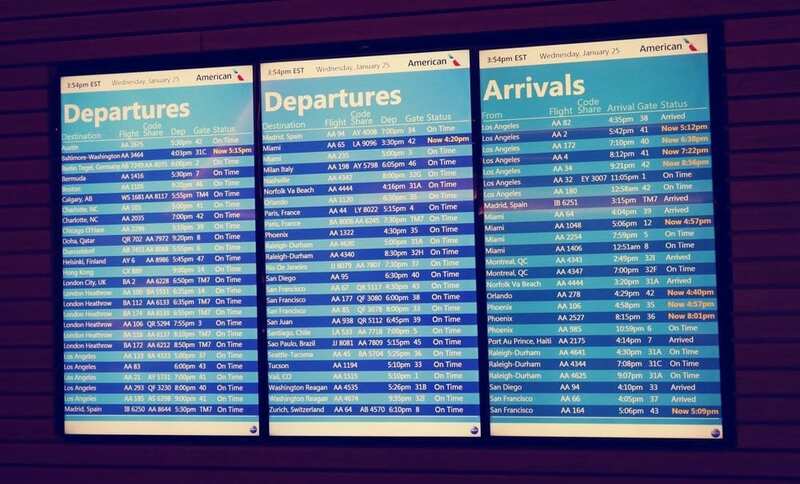 These airlines would like to end the free 24 hour cancellation rule. Presently, you receive a full “risk free” refund for tickets you wish to cancel, within 24 hours of purchase. They also wish to end the imprortant “tarmac” rule, which protects passengers from being stranded for endless hours on the ground, without rights to things like bottled water. But it gets worse, too. These “Airlines For America” would like to allow bias in flight searches, so one airline – even if it’s not cheaper could be the first results that appears, because they’ve paid to be there. This would fool many consumers into thinking they are seeing the lowest price, when in fact they are not. They also don’t want to pay for bumping passengers from flights. They’re tired of doling out vouchers for inconveniencing passengers. Fortunately, for now – none of the ideas have yet been made into law. In contrast, the European Union has continued to defend passengers, with increasingly strict and stringent standards for all airlines. Any flight delayed just 3 hours, not due to weather is eligible for cash compensation of roughly $650. And passengers still get to fly! That’s right – if it’s the airlines fault, the passenger flies and the airline pays them for their wasted time. This has not affected record profits from many European airlines. It could be said, these protections bring more consumers to the table. If you know you’re protected, you’re more likely to go. This is shameful behavior on a level which is hard to humanly contemplate. In comparison to counterparts elsewhere in the world, US consumers have little to no travel protections in the first place. These airlines are literally fighting to no longer be obligated to serve water on flights where passengers are stuck in a metal tube on the ground – for countless hours. They want to openly dupe people into buying expensive tickets. They also no longer wish to compensate passengers for bumping them off of flights, whenever they deem doing so beneficial to their business. No travel for you, today! At the same time, they pander for our loyalty and credit card dollars like fawning hookers. It’s a two way street, last we checked. What do you think of these Department of Transportation requests? What else is new? The current political party in charge in the nation’s Capital is BFF to Big Business, NOT the consumers! Flying passengers are victims to the airlines once the ticket is paid! No more consumer protections nowadays, folks! Bring an emergency care package w/you on the plane, in case Airlines decided to keep you on the plane (not in boarding area) for hours waiting for FAA’s decision. Refrain from making any negative comments bc the flight attendants and pilots have the authority to banish you off the plane if they don’t like your negative comments. We consumers just gotta get use to flying the un-friendly skies with the un-friendly Airlines!